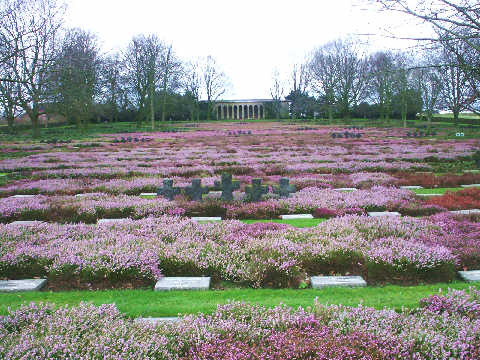 To reach this German Military cemetery it is easiest for most visitors to the area to continue out the N 313 from Ieper via Poelkapelle towards Hooglede. Alternatively the N 32 out of Roeselare towards Torhout allows you to approach from the other end of the N 313. The cemetery is signposted within the village (there is an excellent beer warehouse here). Visitors to Commonwealth Cemeteries in Belgium will always note the inscription that the land has been donated in perpetuity, in remembrance of the sacrifice to save Belgium. The situation for the quarter of a million German dead from the battles in West Flanders is somewhat different. Originally the Soldatenfriedhofs were as numerous on the ground as Britain's. However the territory was rented and initially for only 30 years. 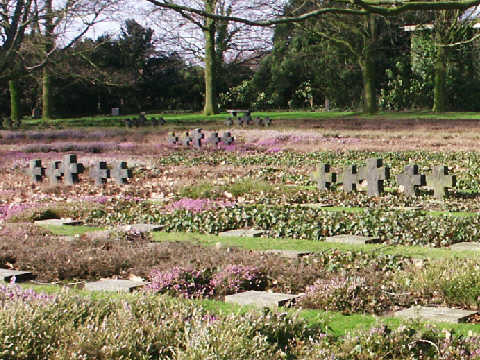 After the Second World War an agreement was reached between the two governments and Belgium allowed four major cemeteries which would act as concentration cemeteries. This land has also been given on a permanent basis. 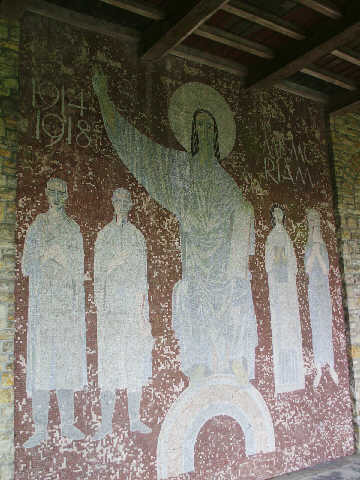 The cemetery was created between the two wars and managed to escape the concentration which occurred later on. 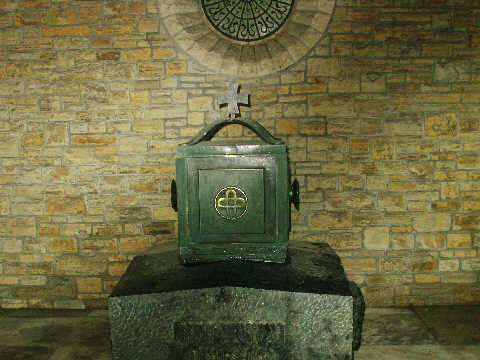 It now contains 8,247 graves. The graves are marked by Belgian granite plaques with, in general, two names to each grave. This is comparison to the other cemeteries where you can find up to twenty names on a plaque. 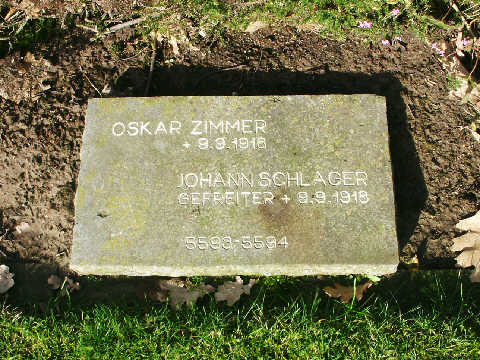 The graves are surrounded by trees, and basalt crosses familiar to other German cemeteries have been placed between the rows. 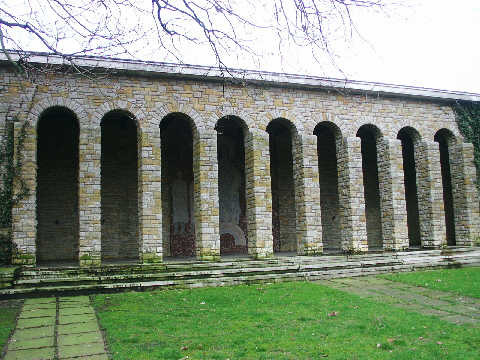 At the head of the cemetery is a colonnade with a small chapel.